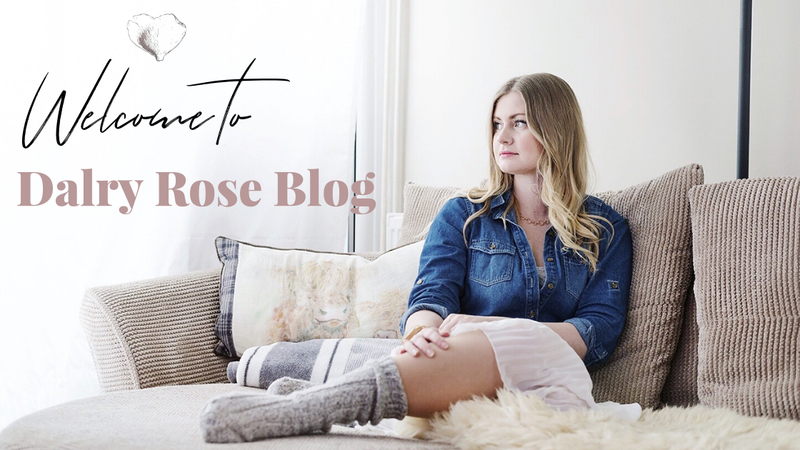 Dalry Rose is a lifestyle blog based in Hampshire, UK which helps you keep up with what's trending right now, navigate through the world of social media, and inspire a better lifestyle - everything you need to grow and bloom in life. The world is changing every day and many of us struggle to keep up with the real life 'updates' - which is why I want to help make it easier to digest for you and bring you the latest trends, test 'fads', and provide guidance. Of course not many of us indulge in living by trends all the time - but you may stumble upon one you really want to try, and love! Dalry Rose talks about topics within the lifestyle sector, fashion, food, social media, business ownership and general life experience (as we go along!). I have a background in digital marketing and working for creative agencies in the South of England, and in 2016 I made choice to start my own business. I think there is so much potential in individuals who get stumped in the office, so much creativity and talent that gets lost. So a part of my mission is tell you guys what happens after you take the big leap towards your dream and set up on your own, and follow your passions! I currently run two successful businesses: Dalry Rose Digital helps businesses in and around Hampshire to grow and bloom through the use of digital marketing; and Dalry Rose Styling which takes all my passion for style and helps real women look and feel amazing, and gain back the confidence they need to love their own body. And I'm so excited to have you guys on this journey with me, with a few of you joining me already! Obviously I love Dalry Rose - but I want you to love it too! And if you do, perhaps spread the word to your colleague, your sister, and your best friend! - You prefer the countryside over the city. - You are a girl boss, entrepreneur, or want to aspire towards a more creative life. - You have all the best intentions of starting a diet, but can't resist a pizza. - You prefer sweatpants to Laboutins. - You want to grow and bloom at your own pace. - Dogs make your soul happy. - You love an adventure! Nobody is perfect, and we're all on a journey only we understand - escape, or inspire, your journey with a cup of tea in your hand reading the latest post on my blog. If you are inspired feel free to let me know via email! I live in Hampshire with my bassador Harvey and I'm a business woman, passionate writer, and a keen adventurer. Since moving to Hampshire I discovered my love for the British countryside - I would be lying if I told you my dream wasn't to end up in the middle of nowhere of Scotland! Although I spend 99% of my time in the countryside, I still visit the city for work projects and events - and I love spending a day out in London. I built my career working in marketing for creative agencies in the South - but life pushed me into working on my own dreams of being a business owner - a journey I have loved from the beginning. I have started sharing my experience of being a 'girl boss' and realised that many of you are in the same boat as I am - and what better is there than to learn from others experience? I talk about my journey of running a business on Instastories, and also on the blog. And something most of you don't know is that it was never my 9-5 that helped me excel in my own business - but in fact it was my blog! I started this blog (previously FashionFake) in 2012, and it gave me opportunities of a lifetime working with some amazing brands like Harrods, Vo5, Superdry, Burt's Bees, L'Occitane, HomeSense, Paul Mitchell, Antipodes, ASOS, Boohoo, Pretty Little Thing, London Fashion Week - and that's just a small selection to name! I found that I loved working in social and digital media, I love photography and my passion for writing was reignited. I am so grateful for the opportunities I've had and feel so lucky to have the experiences I have had, all thanks to hard work and creativity. But I am most thankful to you my readers, my clients, and my friends/family who have made this journey possible. Drop me a line, or start the conversation on social - whether it's business related, or just a comment on what you've seen so far! You can find me mostly on Instagram, Facebook, and Twitter.